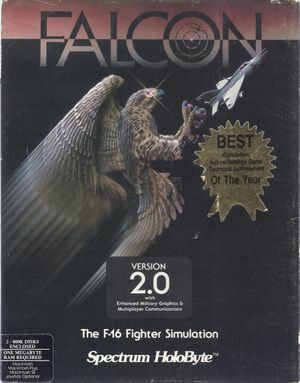 Addons Falcon Operation: Counterstrike and Falcon Operation: Firefight were only released on Atari ST and Amiga. Newer copies of the game do not come with copy protection. Older copies require a code wheel. Bundled with Falcon A.T., Falcon 3.0, and Falcon 4.0. CGA and Tandy are sold as separate versions. Mac version was Black and White monochrome only. 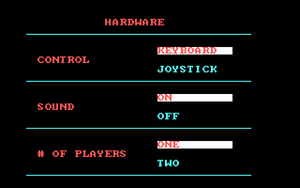 In-game options menu (CGA version). 2 AppleTalk, modem, or direct computer link. Cross-platform multiplayer supported. CGA, Hercules, Tandy CGA and Tandy are sold as separate versions. EGA runs in 4-colour CGA mode. An unofficial "2.5" patch is available here. This page was last edited on 28 March 2019, at 00:13.